We Started in 2009 with a focused approach to serve the IP based communication industry. A Dedicated server provider and Telecommunication & Software Solution provider, MSK Systems has a wide assortment of products, ranging from backbone infrastructure to peripheral products, including middleware.The company today holds a leadership position in Server rent, Softswitch & Billing solutions.Managed Services provide clients with a complete and low cost solution to the complex world of network management, MSK System's Managed Services is the only one of its kind with the clients corporate interest in mind and fully branded. MSK System provide 24/7/365 live dedicated support for customer satisfaction and our Billing sofware is world famous for Voipswitch manage. MSK System provide you best quality and performance dedicated server with high quality internet speed. 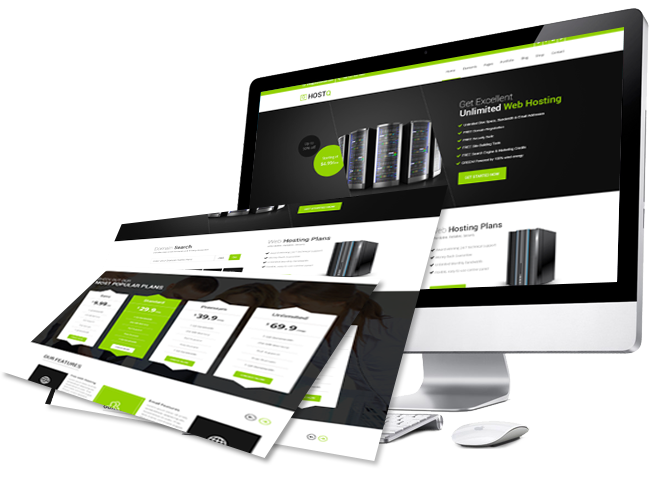 MSK System provide you best quality responsive website for your business. MSK System provide you best quality and performance web hosting package. MSK System provide you best Cpanel for manage your hosting and you can install many apps by single click. MSK System provide you most powerfull dedicated server rent with voipswitch at low cost. 100 CC VoipSwitch only $100 or 8,000 Tk rent monthly. 150 CC VoipSwitch only $125 or 10,000 Tk rent monthly. 200 CC VoipSwitch only $175 or 14,000 Tk rent monthly. 400 CC VoipSwitch only $225 or 18,000 Tk rent monthly. 600 CC VoipSwitch only $300 or 24,000 Tk rent monthly..
View All DesignsContact us Now! We are planning to upgrade our server configuration and now we did it successfully because now we provide all high configuration processors in our all servers. A fully customized level4 billing with all updated features and high security. Now we provide VOS3000 softswitch with 2.1.2.0 virsion at low cost. We offer now 3 type of hosting package with 50 GB,100 GB,250 GB disk space. We provide best quality softswitch in market. Reliable and high performance server. Many improved features with this packages. Our professional E-mail hosting service is ideal for your business. MSK System provide all products delivery at quick and short time. We provide all protection of your server. We provide 24/7 live support service. We are very success to use MSK Systems product and their service is too fast and support response time is maximum 2/3 minutes. Get products from MSK System and wish you success in your business. Refer customers from your side and get reseller discount. From 2nd service you will get 10% discount from us. MSK System provide high priority of our all customers and doing respect of our all customers so we provide 24/7 quick support and give quality product of our customes. PHP Billing features : Login VSC/VSR from same link, Clear and user friendly designed, Multiple users restricted, Robust free and Faster, Fully Customizable, Active Call Monitoring, Fully accessible reseller level 4, High Availability and reliability, Keep Tariff changes history, Support new version of VoIP Switch VSM2 application, Mobile with full version or mobile version, Dynamic Dashboard with current calls list, User with different Permission by assigning role. Exploring new Area MSK Systems has planned to explore another country around the Singapore Currently the companies in Bangladesh.